A look back on the past year at Duke. 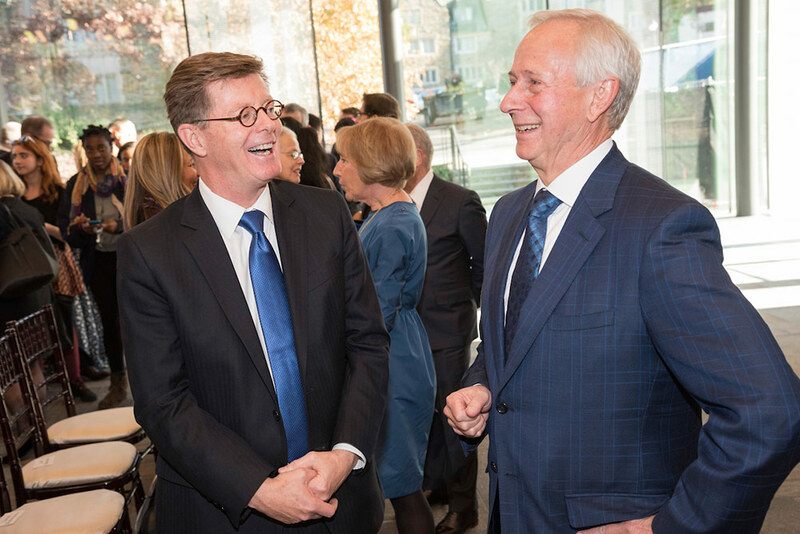 When Richard Brodhead announced in April he was stepping down after 13 years as Duke’s president, a committee searched far and wide for his successor. From that vast pool emerged Vincent Price, provost for the past seven years at the University of Pennsylvania, who was introduced to the Duke community in early December. Price will become Duke’s 10th president on July 1, 2017. Experience the renovated West Union through this collection of 360-degree videos. After three years of renovations, the West Union reopened to rave reviews for both its food and its architecture. Twelve of West Union’s 13 venues are operated by local restaurateurs, bringing Durham's famed foodie culture to campus. Dining options include Indian cuisine, sushi and a number of choices for vegetarian and vegan diners. Several Duke student-athletes, staff and alumni competed at the 2016 Olympic Games in Rio de Janeiro, Brazil. The 2016 Summer Olympics in Rio had a definite Duke flavor. Coach K led the U.S. men’s basketball team to a third straight gold medal. Other Dukies included diver Abby Johnston, golfers Laetitia Beck and Leona Maguire, fencer Ibtihaj Muhammad, soccer’s Rebecca Quinn, field hockey’s Stefanie Fee, runner Shannon Rowbury and basketball’s Kyrie Irving and Lindsey Harding, as well as coaches Jeff Capel (basketball) and Nunzio Espoto (diving). On September 30, 2016, members of the Abele family and Duke community gathered to recognize Julian Abele, the African-American architect who designed Duke's campus. Duke owes much of its physical appearance to Julian Abele, who in 1924 not only led the design of the new West Campus, but many key buildings on the original East Campus. But because Abele was African-American, his role was largely unknown until the 1980s. 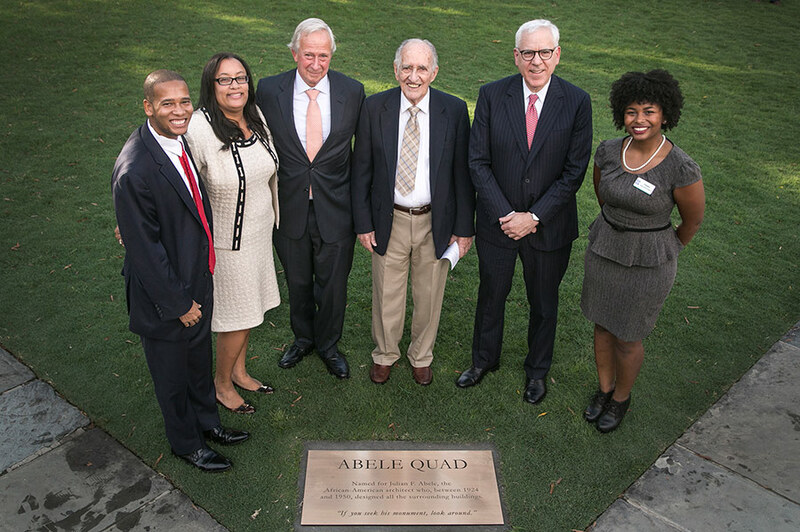 To rectify that, Duke in October dedicated the central West Campus quad in Abele’s honor. 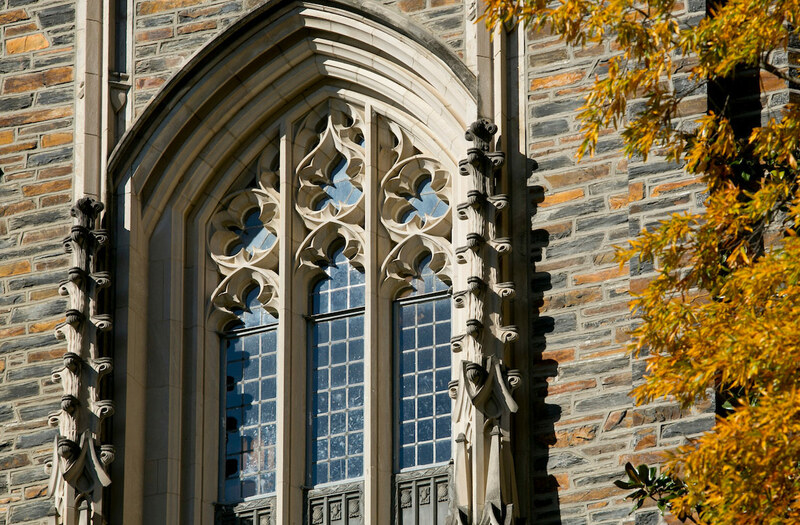 New programs and policies expand access to a Duke education. 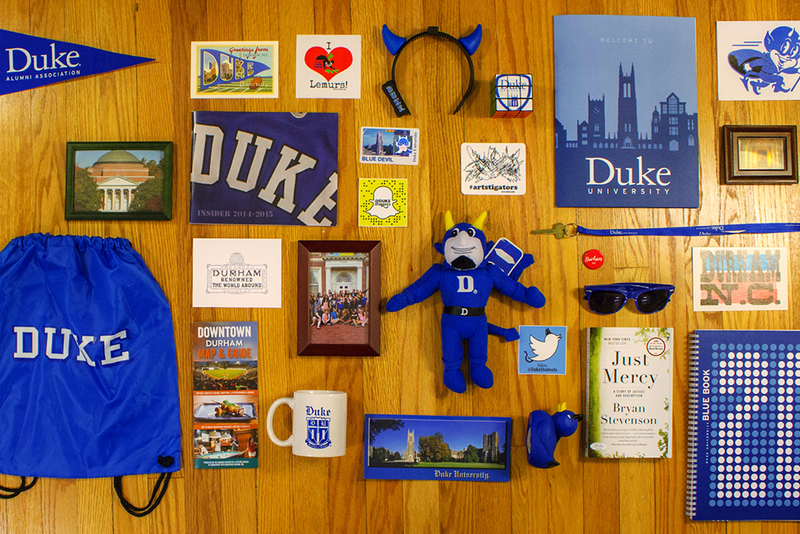 Duke continued to broaden its access to prospective students. This fall, Duke welcomed its inaugural class of 30 Washington Duke Scholars, who are first in their families to attend college. The university also announced it will admit undocumented students regardless of their family’s ability to pay. 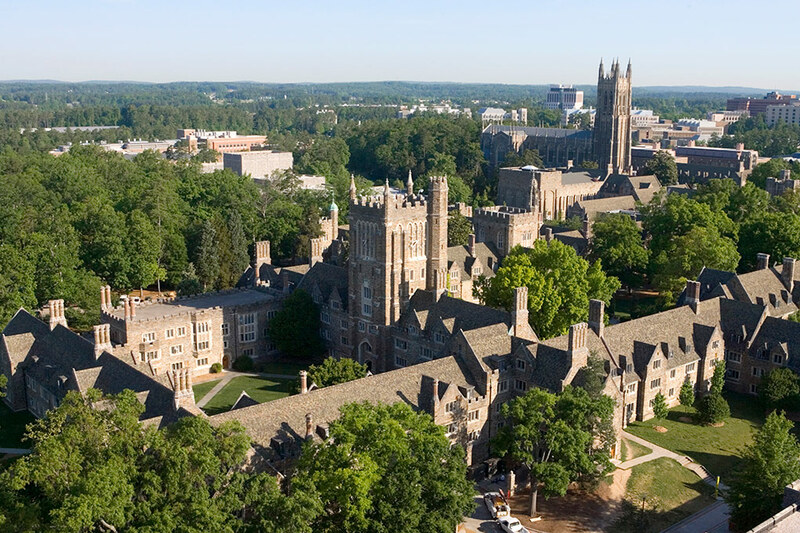 And after partnering with QuestBridge, a nonprofit that helps connect high-achieving, low-income students with selective universities, Duke accepted 36 of the scholars in its Early Decision process this year. Duke Alumni Forever Learning hosted a panel discussion exploring the importance of the arts and what the arts will look like at Duke in 20 years. With a new arts center under construction, the future of the arts at Duke is bright. This fall a panel of Duke faculty, administrators and alumni discussed their desire for art to permeate all student experiences at Duke. Among the artists-in-residence this year were dancer Shayla-Vie Jenkins, who re-staged choreographer Bill T. Jones’ “Power/Full,” and spoken word artist Saul Williams, whose work blends poetry, politics and social issues. The Duke Forward campaign will continue as scheduled through June 30, 2017. 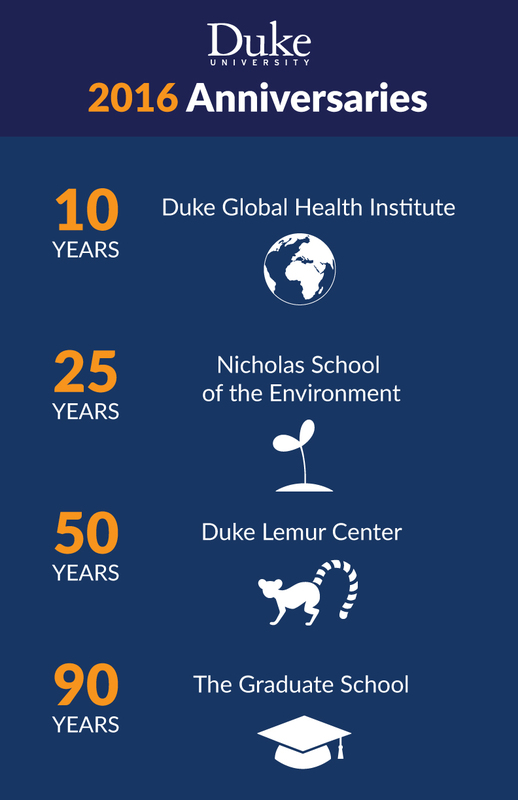 Duke Forward, the seven-year fundraising effort to support Duke’s 10 schools, Duke Health and a range of university programs and initiatives, surpassed its $3.25 billion goal in 2016. The campaign will continue as scheduled through June 30, 2017, with a focus on meeting all schools’ and campus priorities, including financial aid, interdisciplinary initiatives and endowed professorships. Duke Trustees approved moving forward with a new undergraduate program at Duke Kunshan University. 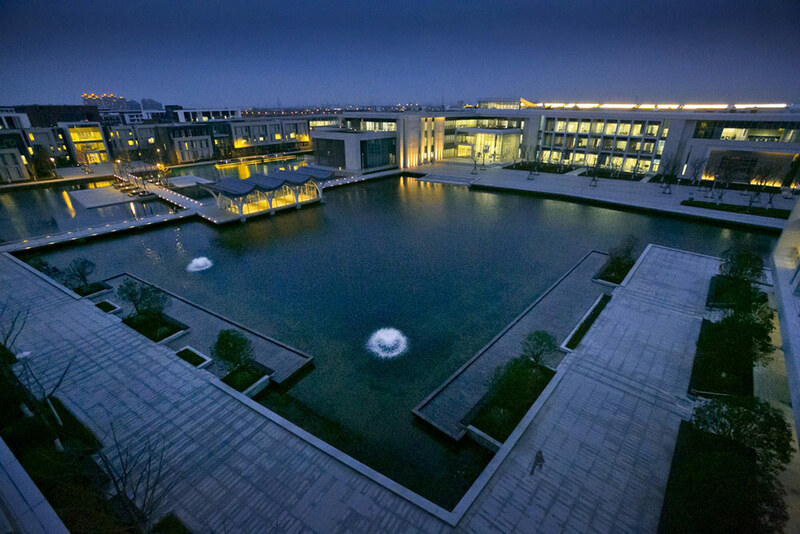 The momentum at Duke Kunshan University in China continued when Duke’s Board of Trustees voted in December to add a four-year undergraduate liberal arts degree program to the master’s degree programs already there. Students who graduate from Duke Kunshan will receive a Duke diploma -- equivalent to those awarded to undergraduates in Durham. Even before the 2016 race turned unpredictable, Duke faculty and students stood ready to weigh in on the election. 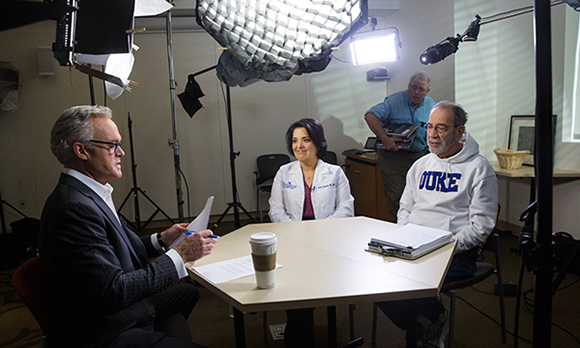 Campaign Stop 2016, a site launched in November 2015, featured commentary and analysis from more than 200 Duke faculty and 50 students through media clips, blogs, op-eds, podcasts and other media. Other campus highlights included a 3-day political cartoon festival, numerous fact-checking initiatives and a robust turnout to Duke’s on-campus early voting site. In his convocation address, Dean of Undergraduate Admissions Christoph Guttentag highlights the variety of backgrounds and experiences that constitute #Duke2020. Half of the 1,700-plus students in Duke’s Class of 2020 were students of color, making it the most diverse class in school history. Additionally, 13 percent of the class came from 70 countries outside the U.S., and nine percent were first-generation college students. A task force of faculty, administrators, alumni and students released their recommendations for an inclusive campus community. In a four-month review of policies, practices and culture as they pertain to bias and hate in the Duke student experience, a task force came up with a series of recommendations to ensure the university lives up to its values of inclusion and respect for all of its members. The recommendations of the task force -- made up of 29 faculty, administrators, alumni, and undergraduate and graduate students -- are being implemented on an ongoing basis. Duke University Chapel reopened to the public on May 11, 2016. On May 11, following a one-year restoration, Duke Chapel reopened to the community. Festivities included guided tours, organ demonstrations and a taping of the local NPR show “The State of Things.” The chapel closed to rehabilitate the limestone ceiling, replace the original roof and clean or polish items from the pews to stained-glass windows -- essentially restoring the building to its earlier splendor. 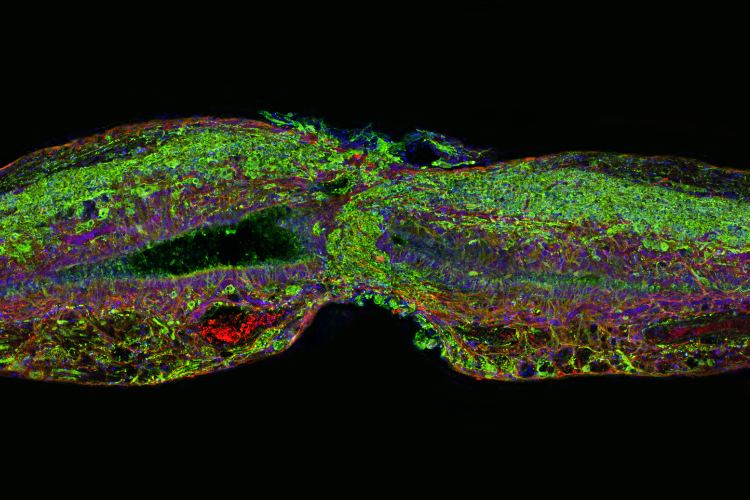 Adult zebrafish can regenerate their spinal cords after an injury. Supporting glial cells (shown in red) are first to bridge the gap between the severed ends. Neuronal cells (green) soon follow. Photo credit: Mayssa Mokalled and Kenneth Poss, Duke. By examining zebra fish, Duke researchers discovered a particular protein important in spinal cord repair. A freshwater zebrafish is able to heal its spinal cord even after it is completely severed. Continued research may reveal some answers as to why zebrafish can regenerate whereas mammals, including humans, cannot. With three of its four co-captains out with injuries, Duke entered its rivalry game with UNC as a double-digit underdog. But after quickly falling behind by two touchdowns, Duke rallied for a thrilling 28-27 win. Afterward, fans stormed the Wallace Wade field and players took turns ringing the Victory Bell that will reside in Durham for at least the next year. Researchers test using drones to detect and track sharks in coastal environments. Researchers from Duke and UNC-Chapel Hill are testing the ability of drones to detect sharks in coastal waterways at Duke’s Marine Lab on the North Carolina coast. The study seeks to improve understanding of shark behavior in coastal waters, and researchers say the drone-detection method could eventually help alert swimmers to the presence of a shark. 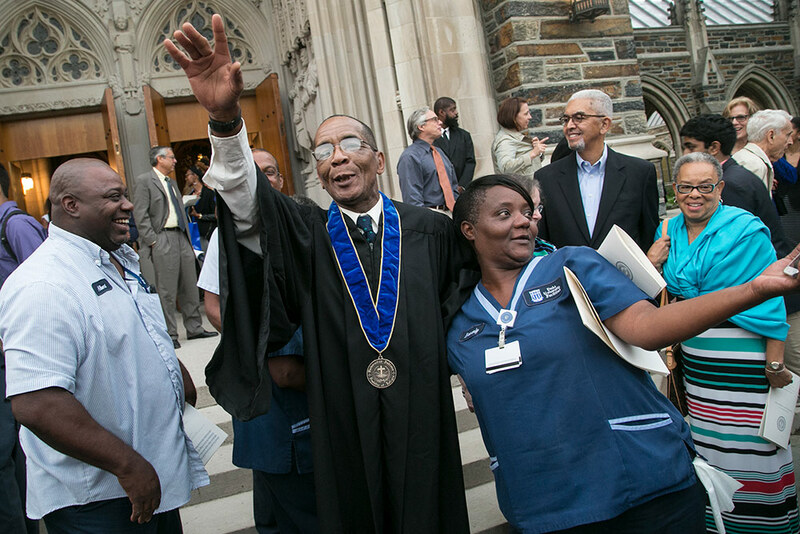 Longtime employee Oscar Dantzler, who arrives at Duke Chapel at 5 each morning to make it clean and presentable, was awarded Duke’s highest honor for meritorious service to the university. In addition to his regular job, Dantzler has served for 19 years as the chapel’s unofficial historian and greeter and as a friend and adviser to numerous students. Duke professors conduct an experiment on a professional violinist to learn more about the brain’s ability to process music. It was a promising year for brain research at Duke. Surgeons and engineers teamed up to make neurosurgery easier and more precise through the use of 3D goggles. Duke professors, with the help of a professional violinist, studied the science behind the brain’s ability to process music. And researchers showed that manipulating dopamine signals in the nervous system can control inflammation in the gut, which may impact the treatment for many auto-immune diseases. The Duke Global Baton compiled photos from members of the Duke community abroad. 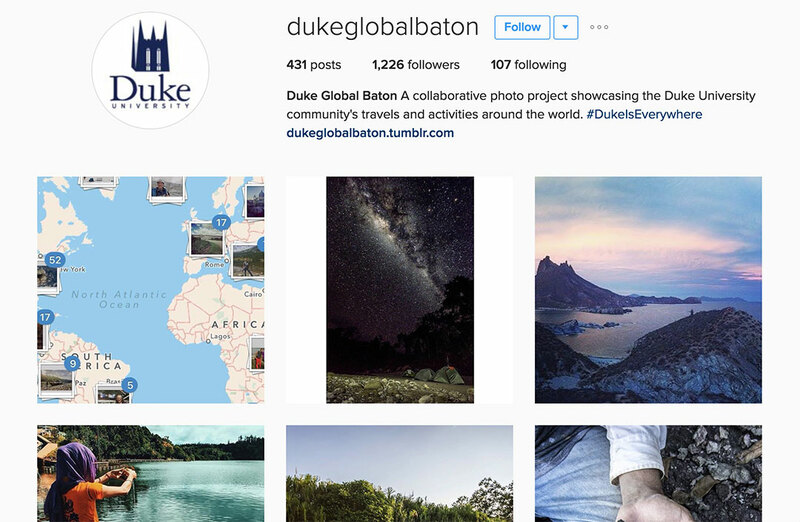 This summer, members of the Duke community chronicled their worldly adventures through the Duke Global Baton, a shared Instagram account. Faculty, staff, students and alumni snapped photos from 18 countries on six continents, from the Gulf of Mexico to the peaks of the Himalayas, at fieldwork sites and vacation spots. Years of blowing away mountain ridges in search of coal and depositing the excess rock in nearby valleys have dramatically flattened the landscape in parts of Central Appalachia. This animation shows an elevation map of West Virginia’s Mud River watershed before and after mountaintop mining became widespread. Image courtesy of Matthew Ross, Duke University. Forty years of mountaintop coal mining have made parts of Central Appalachia 40 percent flatter than before excavation, new research from Duke found. The study, which compared pre- and post-mining topographic data in southern West Virginia, examined not only the mining’s impact on the regional landscape, but how the changes might influence water quality.